celebrate each and every year. Are you a member of the Class of 1969? Please consider joining your 50th reunion committee to help make the weekend a special celebration! Contact the office of alumni engagement at 312.567.5026 or alumni@iit.edu if you are interested. Homecoming & Reunion Weekend 2019 will also, for the first time, include the annual Alumni Awards presentation! The full weekend schedule and additional details, including how to register and a list of who's coming will be posted at a later date. Tell us what you have been up to by submitted a Class Note! Are you a member of the Class of 1969 attending your 50th reunion luncheon? Be sure to fill out the class survey so we can honor you during the luncheon, where we'll have the chance to hear what everyone has been up to since graduation! Attention members of the Class of 1969! 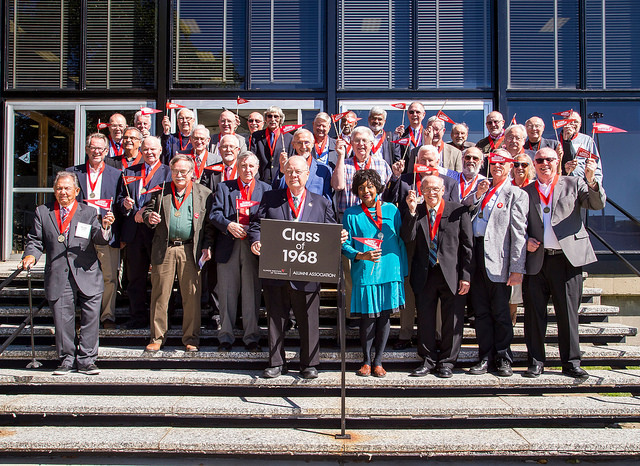 Help ensure future success for Illinois Tech by making a gift to the Class of 1969's reunion class gift. Plan your visit and see answers to FAQs! We hope you will join us at an upcoming event! We host many events on campus and travel the world for regional and international gatherings. We would love to see you at an upcoming event! View our calendar of alumni events.